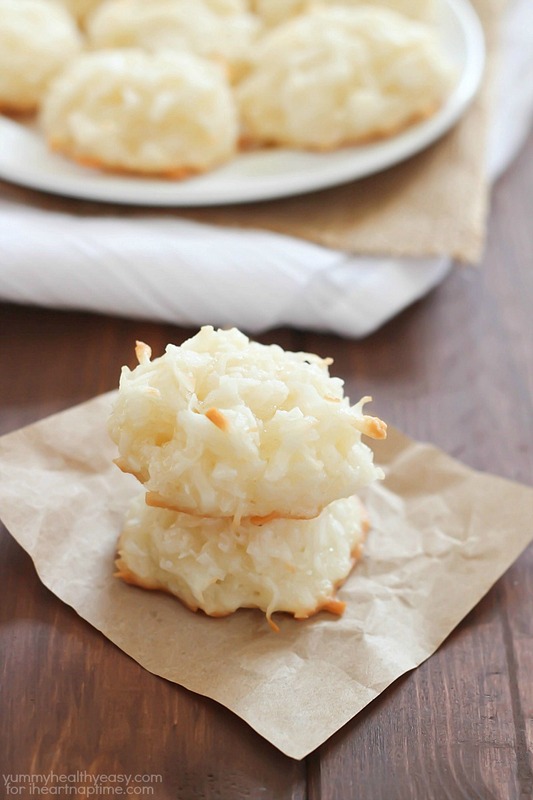 This is a light and fluffy macaroon recipe. This cookie would make a nice addition to a holiday cookie tray! I followed the recipe exactly. I baked for 9 minutes and the cookies were a nice golden brown on the bottom but a little sticky on top. Other than that - no complaints! Drop by rounded teaspoonfuls onto greased baking sheets. Bake in preheated oven for 18-20 minutes or until golden brown. Cool on wire rack and then enjoy!